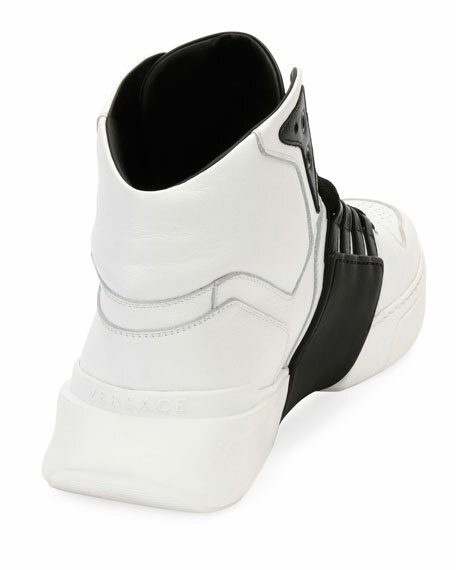 Versace high-top sneaker in two-tone leather. Medusa head emblem at side. Looped pull at heel counter. 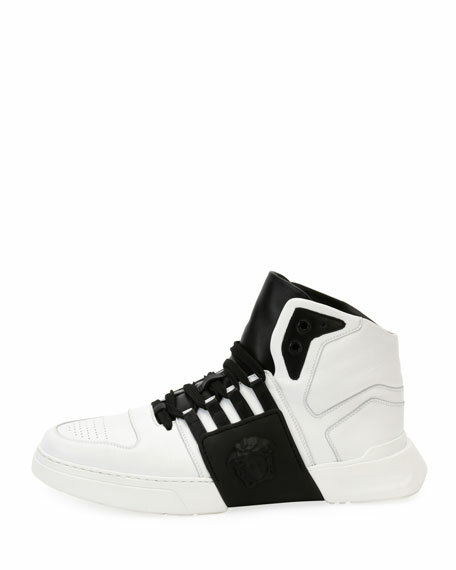 For in-store inquiries, use sku #2478048.